Cee’s Odd Ball Photo Challenge: Week 26 — please click the link to find out more about this challenge. 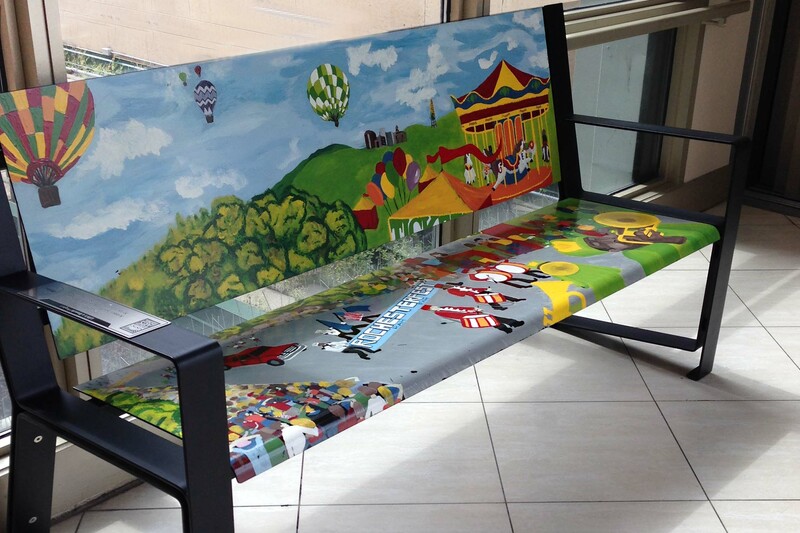 Life’s a Bench is Rochester’s second public art project. Artists were invited to participate by submitting designs which were then chosen by sponsors. This is one of 13 benches. I really like your photo!!! It heartens me to see a bank sponsoring art. It tells quite a story. Great shot, Helen. A nice way to brighten up the city.